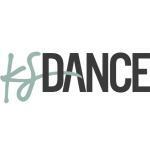 We offer dance classes to children from the age of 3years and up in modern, tap, ballet, jazz and hip-hop with specialised classes being offered later on in the child's life dependant on skill, technique and dedication. The classes are available for girls and boys, the classes take place of an evening (weekdays) and also on Saturdays. 9a, Centre 21, KS Dance Ltd. Bus numbers 2, 3, 10. To contact the school, enter by dropping an email or telephone - we would then ask a few simple questions and then offer start dates in the appropriate age brackets. There is sometimes a waiting list and if so it is usually a terms wait.